Instant Pot Chicken Piccata with Creamy Lemon Sauce Is a Perfectly Delicious Dish for a Weeknight Dinner or Special Occasion! We love Instant Pot Chicken recipes! Some of our favorites include Instant Pot Honey Garlic Chicken Sliders and Instant Pot Shredded Mexican Chicken. Chicken Piccata is the perfect combination of family friendly and restaurant quality. Imagine a beautiful dish that you would be proud to serve for a special occasion, but one that your pickiest eater will gladly polish off! This dish has it all: chicken that is golden and crisp on the outside but tender and juicy on the inside and a creamy lemon sauce that is sure to please. Pair it with your family’s favorite side, and you have a winner! 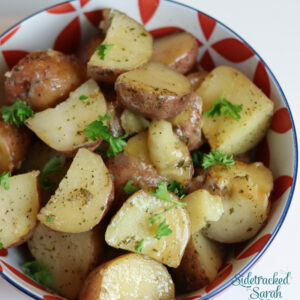 As an added bonus, this recipe is both inexpensive and easy – win-win! Chicken Piccata is an Italian dish that traditionally includes butterflied or thinly-sliced chicken, pounded and dredged in seasoned flour. The sauce is made with broth or white wine, lemon, and capers. It’s a wonderful combination of tangy, savory, and just plain delicious! The traditional piccata sauce does not include cream, but a little bit of creaminess adds so much to this dish. Once you try it, I know you’ll agree! 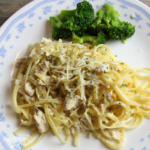 CAN I LEAVE THE HEAVY CREAM OUT OF THIS INSTANT POT CHICKEN PICCATTA WITH CREAMY LEMON SAUCE RECIPE? Heavy cream might seem like a fat-filled ingredient, but I highly recommend keeping it! The cream really sets off the sauce and makes it so creamy and delicious! Trust me, they are definitely worth keeping! WILL THIS INSTANT POT CHICKEN PICCATA WITH CREAMY LEMON SAUCE RECIPE FREEZE WELL? You can definitely freeze this recipe! I recommend freezing the dredged chicken and the sauce in separate bags so that the chicken is golden and crispy when you thaw and cook it. A trick that saves me time is to pack the two bags together in a larger freezer bag. This way, you can just grab and go! I know you’ll love this recipe – it’s one of our favorites! 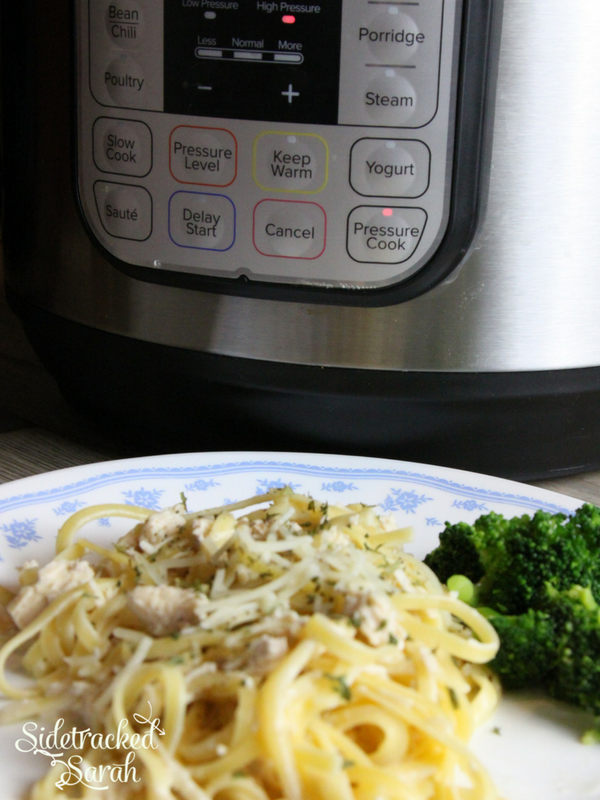 WANT MORE EASY INSTANT POT AND SLOW COOKER CHICKEN RECIPES? Mix together garlic powder, salt and pepper. Sprinkle on both sides of chicken breasts. Place in Instant Pot and pour chicken broth in. Quick Release the pressure, use kitchen shears or forks and quickly chop or shred the chicken. 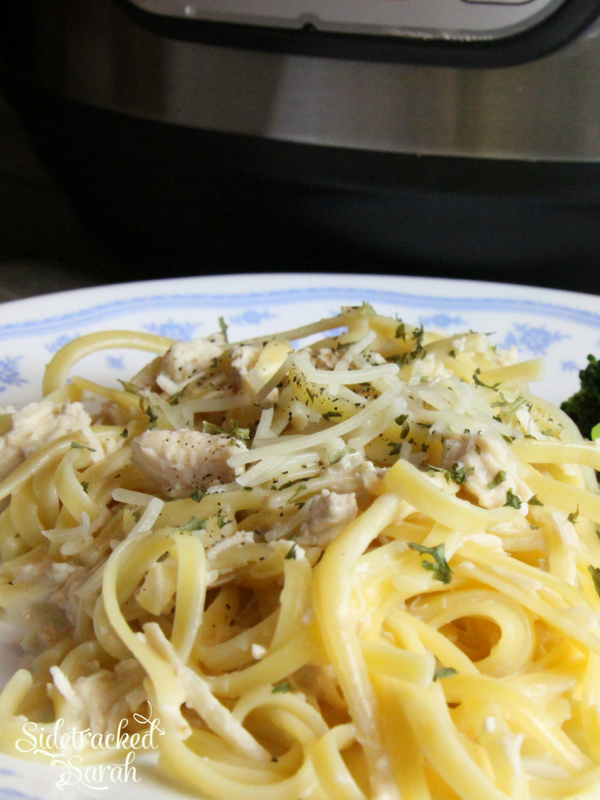 Break the linguine noodles in half and add to the Instant Pot. Close lid & valve, and set the pressure cooker to cook for an additional 5 minutes, on high pressure. While that is cooking, measure out your lemon juice and heavy cream. Add 1 Tbsp of cornstarch to the lemon juice and mix well. Once the timer beeps on the Instant Pot, quick release the pressure. Add lemon juice mixture and heavy cream. Stir well. Turn pressure cooker to Saute and let it cook another minute or two to thicken the sauce. Dish onto plates or into bowls and top with Parmesan cheese. Stir together garlic powder, salt & pepper. 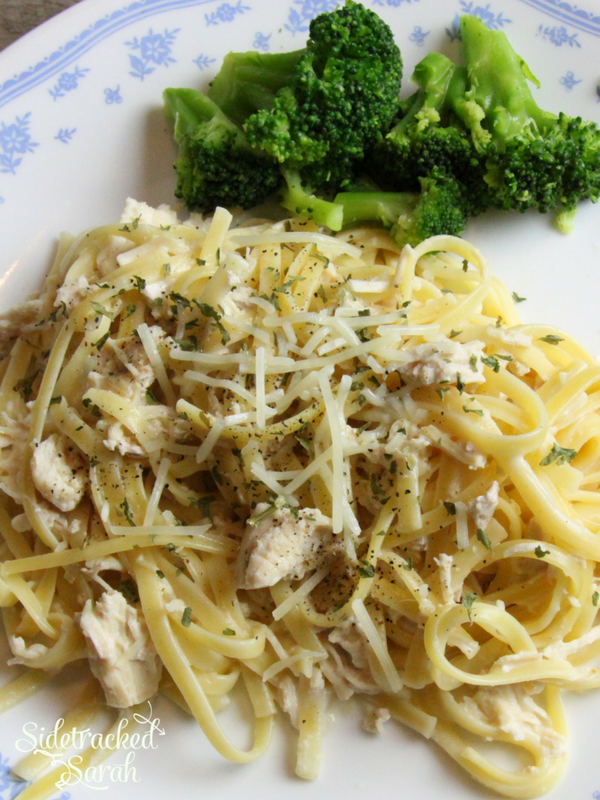 Add linguine to slow cooker with chicken broth, cook on high 15 more minutes. Mix together lemon juice and cornstarch. My husband Ryan and I recently went on our first cruise. We had such a great time and it was so nice to get to explore new places together. The picture is us at a beach in St. Augustine. 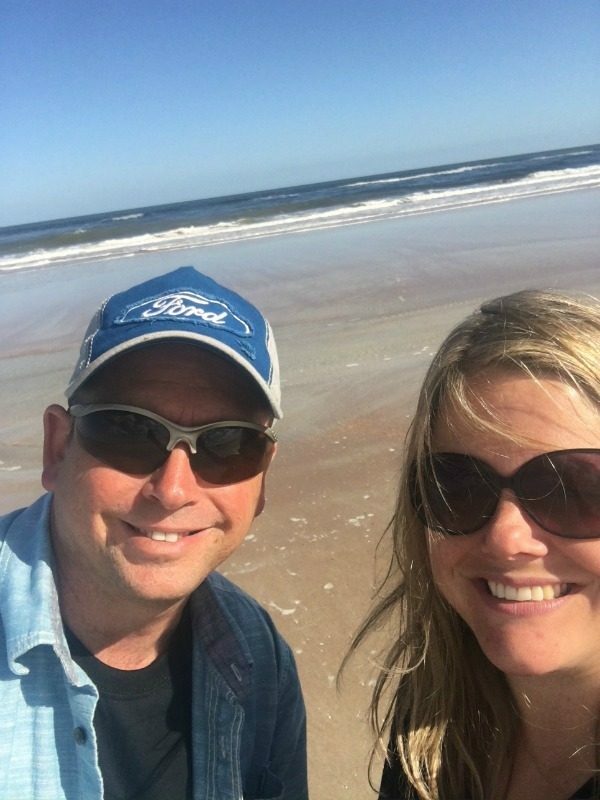 We had the better part of a day to spend after the cruise so we visited an old Spanish fort there and took in a little beach time! Please excuse my hair, but it was defiantly a messy hair, don’t care moment!